Pose is like no show that's ever been on television. The Ryan Murphy epic (often written and directed by famed author and activist Janet Mock) focuses on '80s ballroom culture in New York, combining dazzling fantasy with honest portrayals of the impossible struggles of LGBTQ life during the Reagan era. It's a lush, stylish love letter to New York and queer people of color, with sharply witty dialogue and a soundtrack full of jams. Live! Work! Pose! As Blanca Abundance Evangelista, mother of the House of Evangelista, 27-year-old theater veteran Mj Rodriguez delivers an emotional performance that anchors the entire show. Blanca, rejected by her biological family, builds a new one, nurturing those in sore need of a home, love, and affection (though it's never all that sappy; my favorite scenes are her spars with iconic rival mother Elektra Abundance). 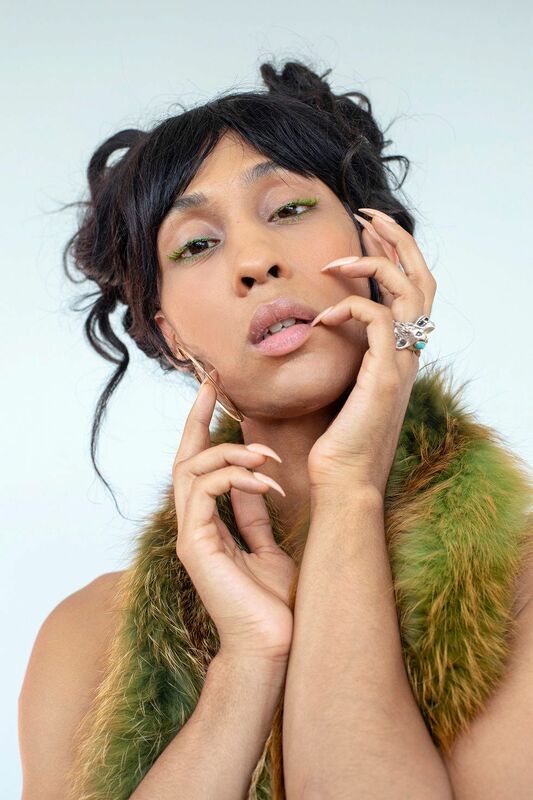 In a benchmark moment for representation, Rodriguez is one of five trans actresses of color featured on Pose, all of whom play major roles. It's the best big break she could have imagined. "My life has changed drastically," she told me. "It changed right before my eyes, and honey, I have to say that it has been wonderfully divine." Were you part of the ball scene before you started on Pose? I was. When I was 14 years old, I was in high school [at New Jersey's Newark Arts High School] at the time, and we would hold mini fashion shows. A lot of the people from the ballroom scene, house mothers and house fathers, would come to our high school, an arts school, just to be mentors to the kids and do fashion shows. Plus, we had a great space. Most of the time, the shows would turn into a ballroom situation and I met my house father [for the House of Jourdan] through that. He saw me walking through at the fashion show, and then he saw me voguing, and he snatched me up and said, "That's my daughter." He taught me to vogue, and then after that the rest was history. I left when I was 17 because, even though I was in the ballroom scene, I still had a passion to be a singer-actress. I still had a passion for go for something that I had always, always wanted to do. So, I stopped at 17 but, I still kept the roots obviously. I still talk to my house father to this day, but I left and I started pursuing my career. And now I'm a part of the House of Amazon. "My life has changed drastically. It changed right before my eyes, and honey, I have to say that it has been wonderfully divine." It's so exciting to see legends like Leiomy Maldonado and Grandfather Hector Extravaganza involved in Pose, especially when the culture has been so constantly appropriated. How did you feel about getting to work with them? And that they got paid. Exactly! They're getting that by just being as authentic as possible through storytelling. It was such a dream to be a part of something with Leiomy because I had been watching her forever. She has been my inspiration forever, and I tell her this all the time. So being able to see things come 360, full circle, and be a part of something and actually be in the same room as her? Magical. Can you tell me a little bit about the Pose casting process? I know it took a while. I hadn't known that it was a six month process. All I had been hearing from a bunch of my friends was just "Mj girl, you have got to go and audition for the show!" They had posted it everywhere and they had posted it on a casting site. I saw the cast for Blanca and I just said "Oh my God! oh my God, if this woman ain't me, hunny!" So I had to go for it. I went in the first time, there was just one woman in the room, and at that time I had already gotten the [musical] Burn All Night. It was in the process and I was about to go over there. But, I had auditioned for [Pose], and there was one woman in the room, and then after the audition I was like "Okay, this is great! Phew." Two weeks went by and I didn't hear anything, it was insane. I was telling myself "Well Mj, it's okay, you didn't get it, good job girl, great trying." After the two weeks passed, I got a call from my agent and he give me a heads up that someone is going to call me on the phone and to be prepared. I asked him who it was, and he said Ryan Murphy. Girl. I was panicking. That very day I get a call, and it's Ryan Murphy and he says "Hello Mj." I just completely froze. I was shaking in my little pants, and he asked me what I was doing. I told him I was listening to Rihanna's new song on my computer and he started laughing and then after that it was just a solidification of him saying "Don't worry, you have the part, you're fine." I freaked me out because I hadn't heard anything and I kept telling myself you know, "I gotta keep working, I gotta keep working". He just solidified everything that night. 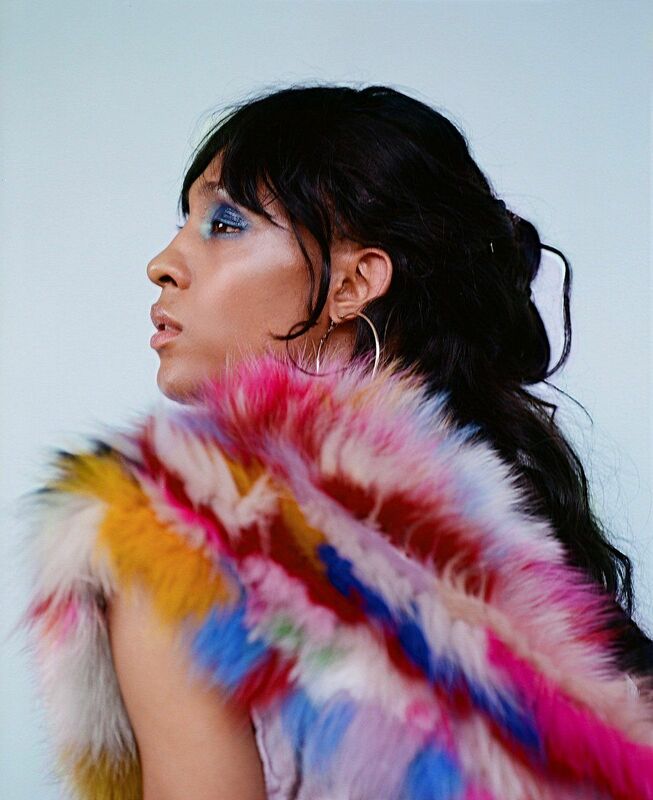 "I was still extremely happy knowing that the world was going not only see my story as Mj Rodriguez, and the many stories of women like me out there." Girl. I just started crying. It was so hard for me to not let those emotions flow, because I had been wanting to work with that man for such a long time, and also to finally have that big break. About a week before that, I had been talking to my mom and she was like "Something's got to give, something is right around the corner, I can feel it." This was the point where I didn't think anything was going to happen and I was just going to go live my normal life. I was going to give up and live a normal life, get a nine-to-five job, and just not do it anymore. I had felt like my spirit was just being beaten. Hearing it from him, I just had to let my positive emotional feelings overflow because it was the validation that I had always wanted. 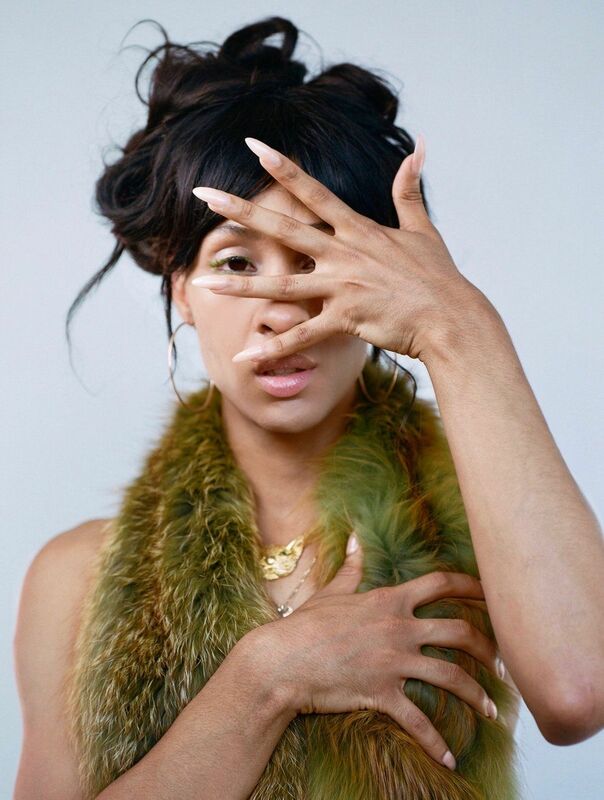 It was also scary knowing that the world was going to see me, but I was still extremely happy knowing that the world was going not only see my story as Mj Rodriguez, and the many stories of women like me out there. I just had to let those feelings flow, and I cried and I cried and I went downstairs to my stepdad and I told him and I told my whole family. It was very celebratory. Being a working actor is challenging in general, but trans actors have spoken out about how difficult it is just to get in the room. How have you felt about castings? Well, want to know something? There was a point in time where I was scared, and I hadn't gone in for roles before Pose had even started. I had hindered myself by being in the way and thinking that world wouldn't receive me, and then I stepped out of my way and I started going in for roles as the woman I was. Even though my mindset was "They're going to say no, they're not going to want me," I challenged myself to be 100% who I was and not care what anyone thought, and when I walked into that room and just stepped into myself, the people behind the table didn't care! Yes I was surprised and yes I was concerned. But to see that all they wanted to see was the talent, and what the woman in front of them had to bring to them, that just solidified everything for me. Now I knew that all these casting directors wanted was to see someone who is thriving and who is hungry. Yes, there's a lot that needs to change as far as us trans women being cast, but I think that my experience hasn't really been that much of a problem. I've had my things here and there but, for the most part, everyone that has been behind the table has been very accepting. A lot of trans women go through stuff like this. I'm someone who hasn't gone through it as much, but there are a lot of my friends that have gone through it. It's pretty tough especially in the upper leagues where there aren't as many trans women who had roles handed to them. "It's pretty tough especially in the upper leagues where there aren't as many trans women who had roles handed to them." This show has more trans actors than any show in history, and it honors such an essential element of New York City culture. What does it mean to you to be a part of it and tell these stories? Being a part of something this huge means the world to me. Not a lot of people understand our stories. Not a lot of people even know about us and our movement. To be able to convey these powerful stories through the television screen is pretty groundbreaking, I think. It means a lot to me. It means more than a lot to me. There are no words that can describe how I feel, girl. But I want everyone to know that I'm really, really elated and I can't complain. I just feel pretty amazing.